Fastest way to get started is to create a project with ServiceStack’s VS.NET Templates. In addition to this, there are a number of great walk-thru’s into ServiceStack in the Community Resources section below. Like this detailed walk-thru with Screenshots by @nilsnagele. 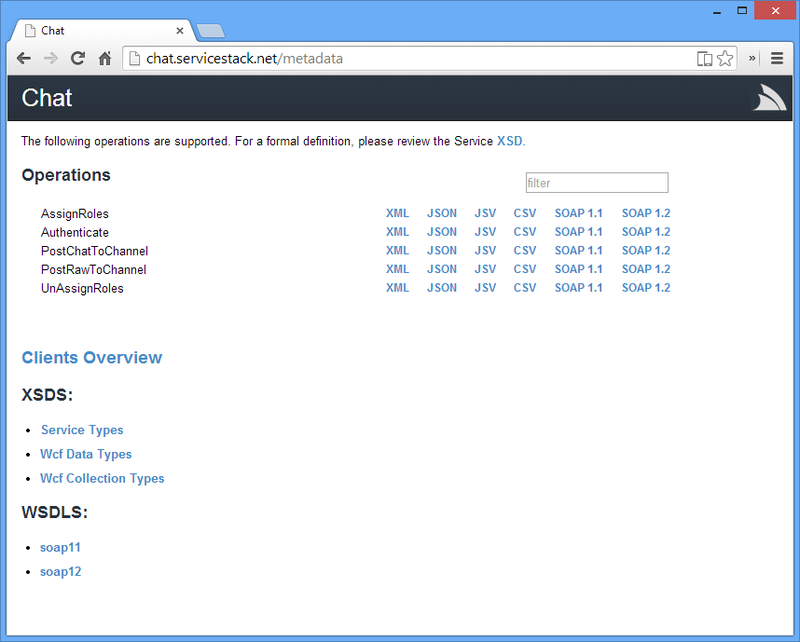 ServiceStack can be hosted in a few ways: console application, windows service, ASP.NET Web Form or MVC in IIS, etc. For this tutorial, an empty ASP.NET Web Application (non MVC) is assumed. Tip: You can find an explanation about all NuGet packages which ServiceStack offers here. The package above only adds the binaries, but there also exist some packages which add the required configurations etc. Tip: If you want to host your webservice on a custom path to avoid conflicts with another web framework (eg ASP.Net MVC), see Run ServiceStack side-by-side with another web framework. Note: Due to limitations in IIS 6 - host ServiceStack at a /custompath which must end with .ashx, e.g: path="api.ashx"
If Global.asax.cs doesn’t already exist you have to add it manually. To do this Right-click on your project and go Add -> New Item, then select the Global Application class. That’s the core philosophy in ServiceStack. Each service has a strongly-typed, code-first (normal POCOs) request DTO and response DTO. You can read a detailed explanation what advantages exist if you’re using DTOs in the ReadMe or in [Why should I use ServiceStack?] (/why-servicestack). As you can see, you have created an AppHost. Mainly all configuration related to ServiceStack is made in the AppHost. It’s the starting point in your application. If everything is configured correctly you can go to http://<root_path>/metadata to see a list of your web services and the various end points its available on. Tip: In the screenshot the root path is http://localhost/ServiceStack.Hello/servicestack. On your development box the root path might be something like http://localhost:60335 (ie the URL on which your webservice is hosted). As you can see after clicking on this link, ServiceStack also contains a HTML response format, which makes the XML/Json (…) output human-readable. To change the return format to Json, simply add ?format=json to the end of the URL. You’ll learn more about formats, endpoints (URLs, etc) when you continue reading the documentation. The EmailContacts solution is a new guidance available that walks through the recommended setup and physical layout structure of typical medium-sized ServiceStack projects, including complete documentation of how to create the solution from scratch, whilst explaining all the ServiceStack features it makes use of along the way.